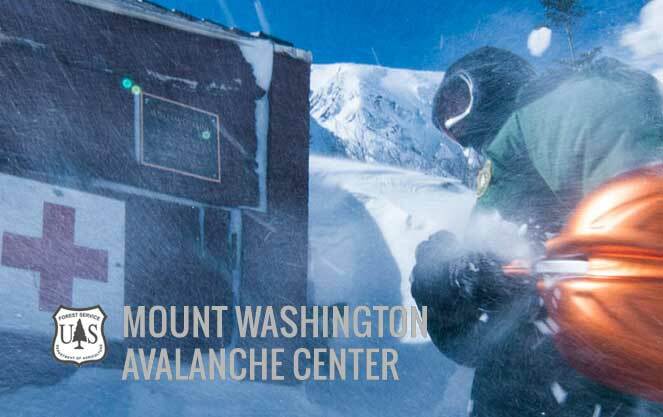 The Mountain Rescue Service provides specialized technical teams comprised of world-class guides and climbers who volunteer their time and expertise in the service of hikers and climbers who need assistance, in and around the White Mountains of New Hampshire. The team is ‘on call’ 24 hours per day, all seasons, with volunteers being mobilized for a full range of incidents: complicated multi-day and nighttime searches in the depth of winter throughout the White Mountain National Forest; technical rope rescues on the region’s many rock climbing cliffs; swift water rescue assistance; and lift evacuations at area ski resorts. The Mountain Rescue Service (MRS) was the brainchild of the Appalachian Mountain Club (AMC) Search and Rescue Committee in 1972. The number of backcountry incidents occurring in challenging weather and over technical terrain had been rising, and they believed the area needed a specialized team of local rescuers. A board of directors made up of AMC workers, New Hampshire Fish and Game officers, United States Forest Service personnel and medical professionals was gathered and the organization was incorporated. In 1976, the MRS board elected 25-year-old Rick Wilcox as president, and he became the first climber to stand on the board. Rick has remained the only MRS president since. The community approached a group of young climbing guides who spent their days in the mountains and had just the kind of high mountain experience, knowledge and technical abilities that were needed to staff the rescue team. Mountain Rescue Service team members have been voluntarily dedicating their time and skill for over 36 years since, assisting the state of New Hampshire in all kinds of search and rescue efforts. Collectively, they have been on over 350 missions. A handful of long-time members have individually been involved in over 100. The team has participated in multiple rescues – assisting on area cliffs with climbing accidents, broken legs, and serious falls. 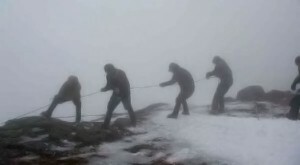 They have also participated in all types of searches – for lost hikers and climbers on Mount Washington in the extreme cold and high winds that make up the “World’s Worst Weather,” on the Presidentials, the Franconia Ridge, and all across the 800,000 acres that make up the White Mountains. 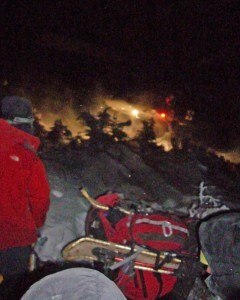 They’ve also assisted in searches at local ski resorts and incidents occurring off the mountains. The MRS team is currently comprised of six team leaders and 39 members on the Primary team, plus 30 individuals who round out the Secondary, support team. 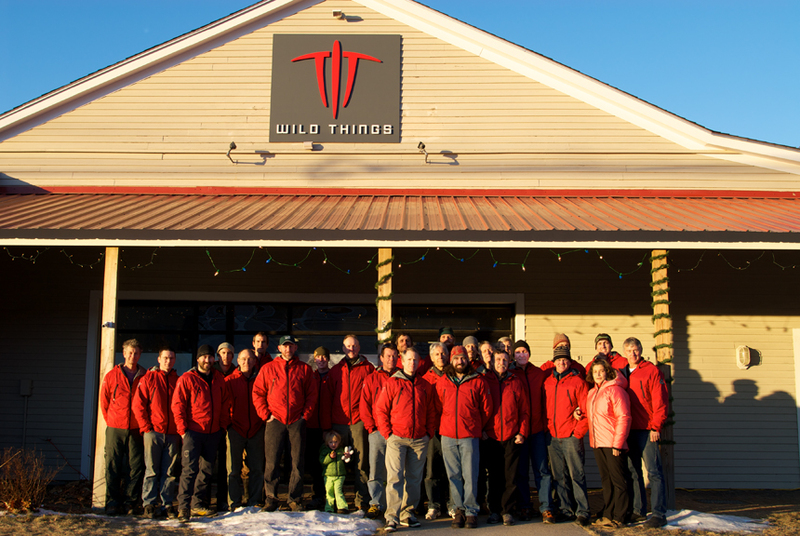 The MRS was built from the community and is still rooted in the community as a strong resource for not only search and rescue, but also for climbing guidance and leadership. Beyond search and rescue work, the team also acts as educators and promoters of mountain safety, the prevention of accidents and dangerous situations, and the protection of outdoor enthusiasts in the Whites. “The MRS isn’t recognizable except for on a trailhead, at night, by headlamp.” That statement by one team member rings true. But to anyone climbing and hiking in the Whites, and certainly to anyone who has ever been in trouble on them and needed help, the MRS is always around. MRS works with the NH Fish & Game, US Forrest Service and other state agencies. Please call 911 for immediate assistance. Mountain Rescue Service is a non-profit 501(c)(3) organization. The federal tax identification number is 51-0171809.